Yes, the simplest and easier way to get to Morocco is by taking a flight. On the other hand, you could pick a ferry up when you fly to Gibraltar, Spain or France, or from Ireland or Britain; you could sail or move by land. Season influences fares, highest being at festive periods; either a new year or Christmas and sometimes when summer time is fast approaching, around July and going to August, making available seats scare. Flying during the week sometime is better because of cost implications, unlike weekends. Costs can be mitigated when you run your flight bookings online or through an agent that’ll grant you a discount. Tickets that wouldn’t cost much would be dependent on certain restriction, probably maybe you’ve fixed the date already, although some may require you paying in advance. Midweek journeys and tax determine the price range. Flights that have been scheduled seem to cost more than charter flights, although penalties for withdrawal are always high with fixed departure date. It’s also always better to get a package deal that’ll include a place to stay; it’s cheaper that way. Bear in mind that your baggage will not be brought to your hotel in Morocco if it ever happens that it gets missing while moving, although you’ll be able to pick it up when it gets back to the airport, if your baggage happen to come through an indirect flight, chances are high that you might not be able to recover them again. Royal Air Maroc (RAM) run flights that have been scheduled directly to Casablanca and Marrakesh from London Heathrow; these areas are also served by Easyjet, Atlas Blue, from London Gatwick, and from Luton by Ryanair. Flights are also available to Tangier by Atlas Blue from Gatwick and Heathrow, and to Fes from Gatwick, while Agadir and Marrakesh are being served by Thomson Fly from Manchester and Gatwick. These flights take almost four hours. Also, charter flights controlled by tour operators such as Thomas Cook, First Choice and Sunway to Marrakesh and sometimes Agadir from Birmingham, Dublin, Manchester, and Gatwick, from Irish and British airports, but they do not fly all throughout the year. Also, they seem to be expensive than services that have been scheduled earlier and might affect a three-week visit. Instead, indirect flights are available from either Irish or British airport to Morocco through a European or London City such as Amsterdam or Paris. Other Moroccan airports can be reached by Casablanca by connecting flights through Madrid. On a different note, most Irish and British airports take an indirect flight to Morocco, through a European city such as Amsterdam or Paris, or through London. 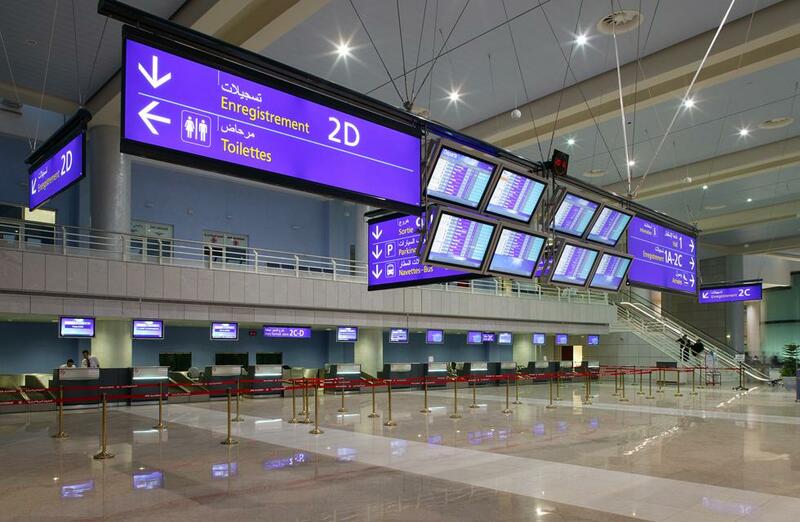 Most Morocco airports are reached through connecting flights incoming from Casablanca. A returning flight to Casablanca to London is within the price range of £230 to £1200 with RAM, although it’ll drone on the kind of flights chosen. Demand is another factor that determines the fares being charged on flights, although it’s within the range of £90 to £760 and it’s important to understand that there’s a discount on your price of your book early. Coming from Ireland, a Charter flight would be between the range of €440 to €640, while if it’s a flight that has been scheduled as indirect, it’ll be within the range €400 to €580, although it’ll be dependent on how popular the flight is and also the time of the year. Iberia(to Marrakesh, the Spanish enclave of Melilla, Tangier and Casablanca), Air France( to Rabat and Casablanca), or Lufthansa or Alitalia(both heading to Casablanca). You can also take a flight that connects to Montreal or New York and head on from there to Delta codeshare of the New York flight(RAM), so without much trouble you can easily get a through ticket, or you could get with an airline such as Continental, Canada, American from Europe with support from European carrier. You should expect to pay nothing less than the US $1200 if you’re coming from New York in high season for a direct flight that has been fixed already with RAM, while during the low season, you should budget $990. You can save little from the above-listed fares I’d you can get the tickets from a travel agent offering discount or online, although you might have to go for a long flight in this case. 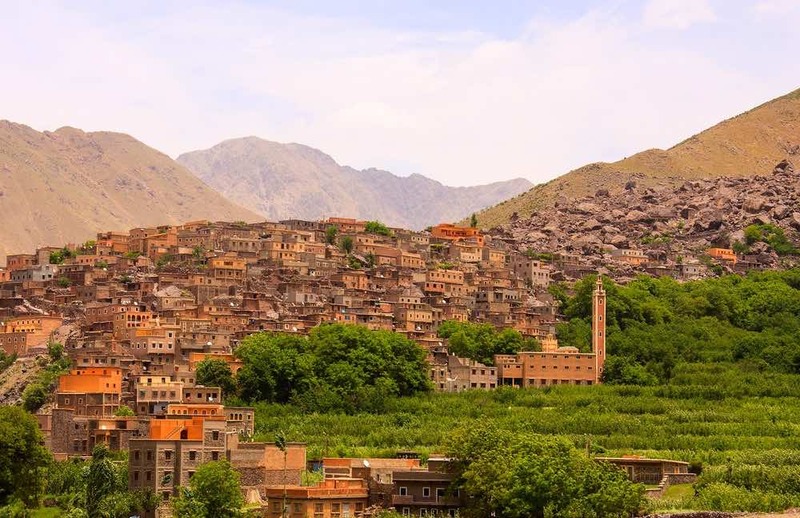 If you’re planning to come from the West Coast to Morocco, then budget within the range of US$1260/925 from LA in the low/high season to Casablanca, or from Vancouver, should be within the range Can$1870/1340. You can hop on direct flights from South Africa, New Zealand or Australia to Morocco. There’s a need for you to switch planes if you’re going from Australasia, either at the Middle East or Europe. The airlines that seem to be the most convenient are the Etihad or Emirates coming through the UAE offering a better choice of New Zealand and Australian airports to fly out from. Also, you can depart with a European airline such as Air France or Lufthansa, or you can get a through ticket with Air New Zealand or Qantas linking up in Europe with their partners, which is of great advantage to offer a much wider choice of airports to depart from. You should budget within the range of Aus$1475–1830 if you want a cheap through ticket going from Australia, offering prices at a very reasonable rate with no specific season. You could depart with an operator such a Qatar Airways through Qatar, Emirates through Dubai, Air France through Paris or Egyptair through Cairo if you’re coming from South Africa. Flying into Dakar seem to be the most direct route. Save nothing less than R7100 if you’re travelling to Casablanca from Johannesburg. You could board a train from London to Morocco and ferry through Algeciras, Madrid, and Paris. It costs more than taking a flight though, and it might take up to two days. Algeciras from London costs up to £180, and you can get more details from the website www.seat61.com. You can get tickets going to Paris from London, and it’s available online through the website www.eurostar.com, and Madrid from Paris on the website www.elipsos.com and www.raileurope.co.uk if you’re transporting by rail to Europe. And if you don’t get your tickets in advance, you won’t be allowed to get a ticket when you get to Madrid or Paris because by that time your connecting train might have been booked fully. Bus services are available in Morocco from £133 one-way to Tangier with Eurolines in Victoria Coach station. You’ll have to switch your vehicle when you get to the oasis and travel via ferry(Algeciras-Tangier ferry). It’s almost 40 hours journey to Algeciras, and that includes a four-hour wait in Paris between buses. If you’re coming with a car, it’ll take nothing less than four days if you’re entering Morocco from so yer the England or London, and approximately five days if you’re coming in from Ireland or Scotland. The route that seems direct is: London–Channel Tunnel–Calais–Paris–Tours–Bordeaux–Bayonne–San Sebastián (Donostia)–Madrid–Granada–Málaga–Algeciras. Spanish and French motorways are expensive, but routes that cut them off seem to be slower. You can reduce the drive if you’re driving through England from Scotland and that’ll involve you going through Zeebrugge from Rosyth using a ferry(www.directferries.co.uk). You can also cut Britain out if you take a ferry with Brittany Ferries to France(www.brittanyferries.co.uk) or www.irishferries.com (that’s I’d you’re taking Irish ferries). If you’re coming into Morocco proper from Europe(not Melilla or Ceuta), there’ll be a need for you to branch passport control before heading for the ferry. Immediately you get on board, don’t forget to ask for the purser’s office to pick up out disembarkation form and after filling, submit for stamping alongside your passport to any Moroccan immigration official present on the ship. You won’t get announcements about this in English as if you’re unable to get your form stamped; you’ll have to wait for everyone to get theirs done before you’ll be attended to. A Moroccan police officer would be available at the exit to check the stamp you just acquired. There’ll be a need for you to remove your Green card insurance if you want to enter Morocco with a car, since individual insurance won’t work with Morocco, there may be a need for you to expand your shopping, and you might be lucky to speed things up if your reference to Morocco is in French and prominent. 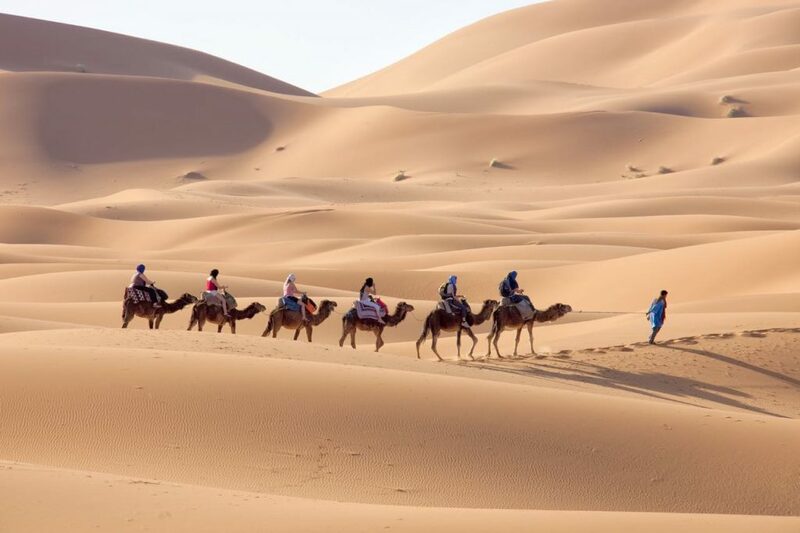 You’ll have to present the registration documents of the vehicle you’re taking and the card on entering Morocco, and both of them must have your name on it, or a letter from the owner if the vehicle isn’t yours. You’ll need importation documents, although might be a temporary one if caravans are attached to your vehicle. You can get these documents on the ferry or at the frontier, that is if you are not travelling to Melilla or Ceuta, and you won’t be charged for it. For more inquiries about driving to Morocco, get familiar with the Driving requirements and travelling by car.